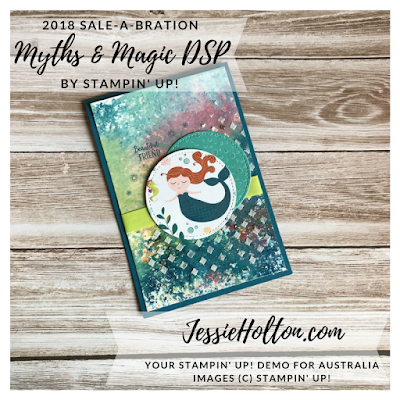 Today I have the third installment of some cards I've made with the Myths & Magic Designer Series Paper. This paper is still available to purchase but is now also available as a FREEBIE under the Sale-A-Bration items - only until 31 March! Exciting! 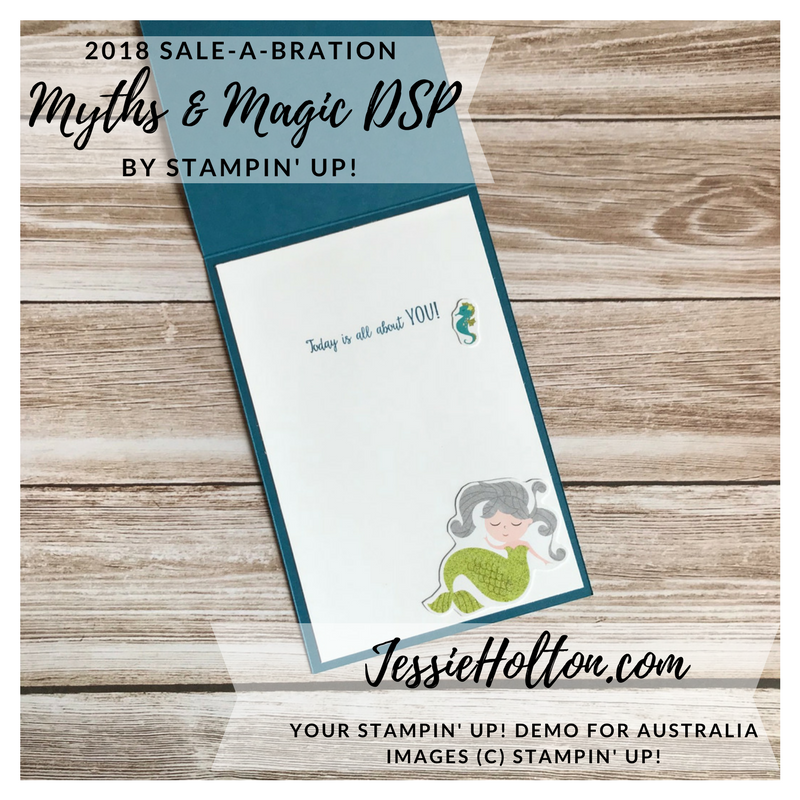 This gorgeous paper has glitter all the way through it! The last card a lovely little girly card using the gorgeous little mermaids. See the last two day's posts for my Dragon variations of this card. This background is part of the Brusho backgrounds I made a month or so ago. I like to make them in bulk as they can take a little while to dry naturally (or you can use a Heat Tool to speed up the process). I have used a mix of all the Brusho colours to make these. Then I have smeared the Embossing Paste over the top using the diamond embossing mask from the Party Patterns Decorative Masks. 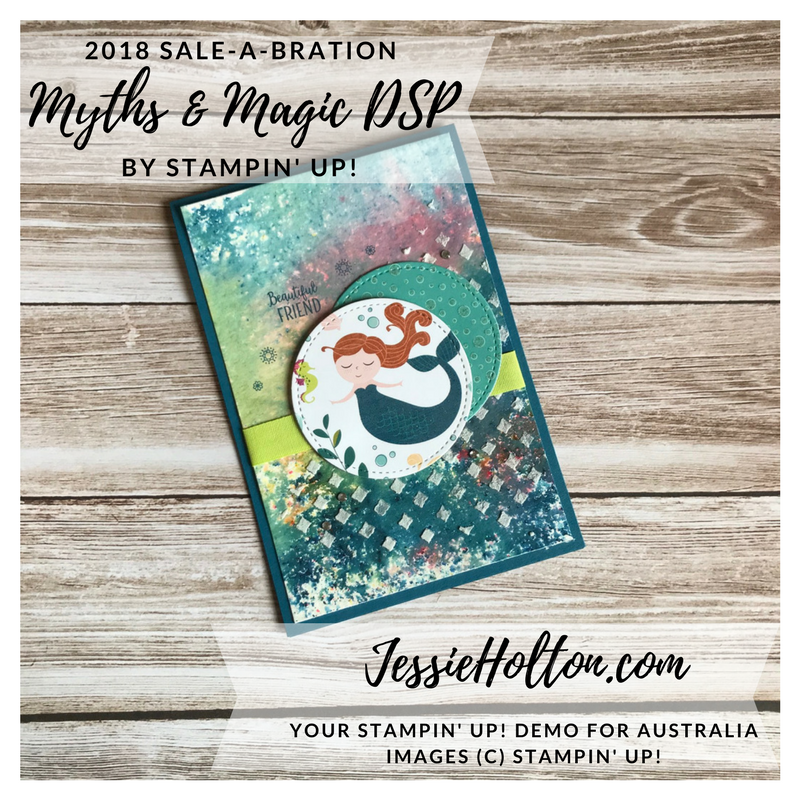 I have stamped the sentiment in Dapper Denim using the Beautiful Peacock stamp set - this is another free Sale-A-Bration product. I've also used a Dapper Denim cardstock base. 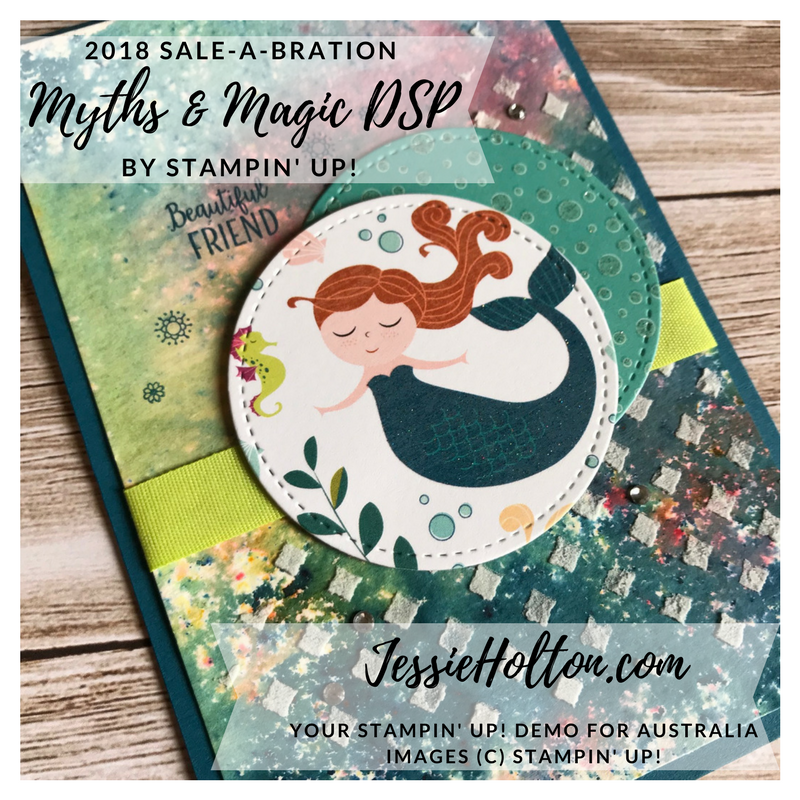 The mermaid & bubbles paper have been cut with the second largest circle from the Stitched Shapes Dies. There is a strip of Finely Woven Lemon Lime Twist Ribbon behind & a few Basic Rhinestones. I have stamped the inside with the Beautiful Peacock stamp set in Dapper Denim & fussy cut the mermaid & seahorse image to match the front.